We just got back from a weekend camping with friends. 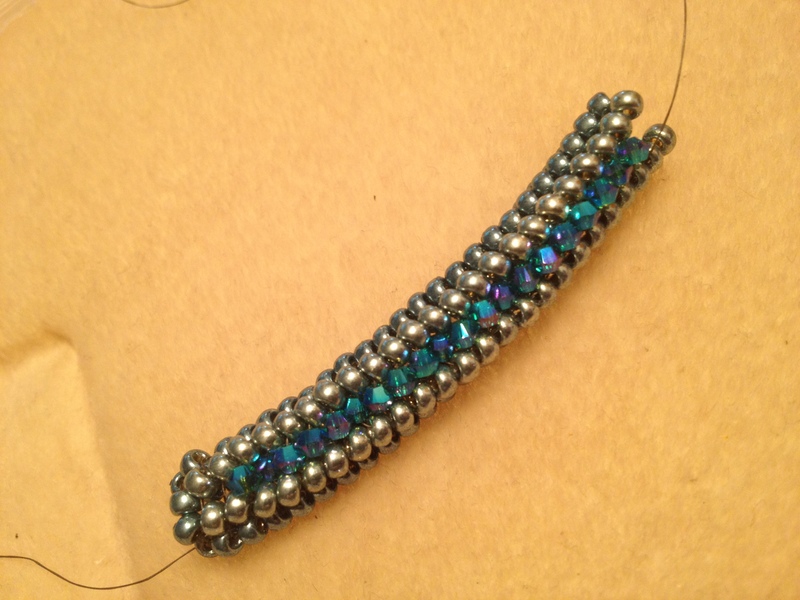 I had a blast and even got some beading done! It was a great time and I am not nearly as tired as I thought I would be. Granted I finally slept a full 8 hours last night, but I was certain that wasn’t going to be enough to make up for the shear exhaustion I felt heading to bed! I wasn’t sure how much time I was going to have to bead this weekend so I took along one of the kits I got from the Bead Studio. The Channel Set Crystal Bracelet is a super cute bracelet! I got the pretty metallic teal one and I love it! It works up very quickly. I only had a few minutes to work on it this weekend and got it nearly complete! Next week we move, so I am having to pack my beads away. I will move them myself, even though we are hiring someone else to move all the rest of our stuff. They are too important and I am a control freak when it comes to my beads! Once things have settled down and I’ve got my work space settled expect more pretty things!